We haven’t had the Beast from the East again, but this week certainly dropped a few (or ten!) degrees. That hasn’t stopped people taking note of the lighter evenings and wanting to get out on the water though. It certainly doesn’t stop us journeying around the country either, installing here, servicing there and prepping future projects in other areas. 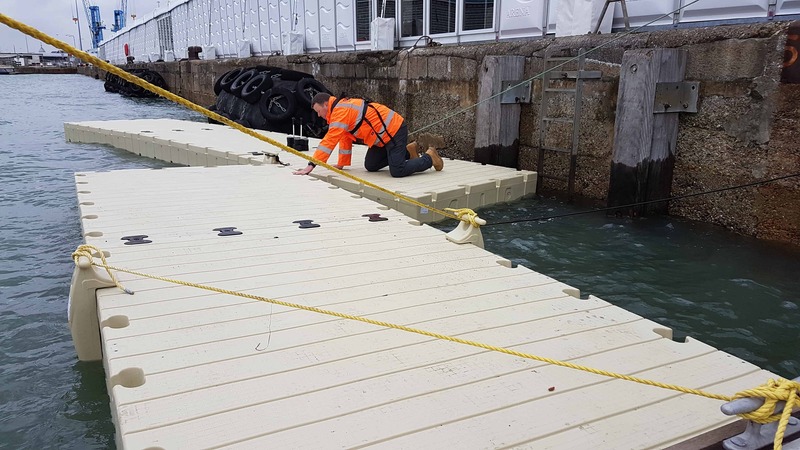 Totnes Boating Association called on us to provide extra mooring, in the form of a 27m x 2m Rotodock pontoon, with five galvanized mooring pile systems, so Chris went down on Monday to start it off. Oliver and Darren joined him and they did an amazing job fitting the piles, on Tuesday. Wednesday was spent in Ottershaw at Queenwood Golf Club, servicing and repairing the Ultrasonic transducers in their lake. Thursday was an office/barn day, with the boys putting finishing touches on some decking and fixing it to a Rotodock platform. That will be delivered next week. 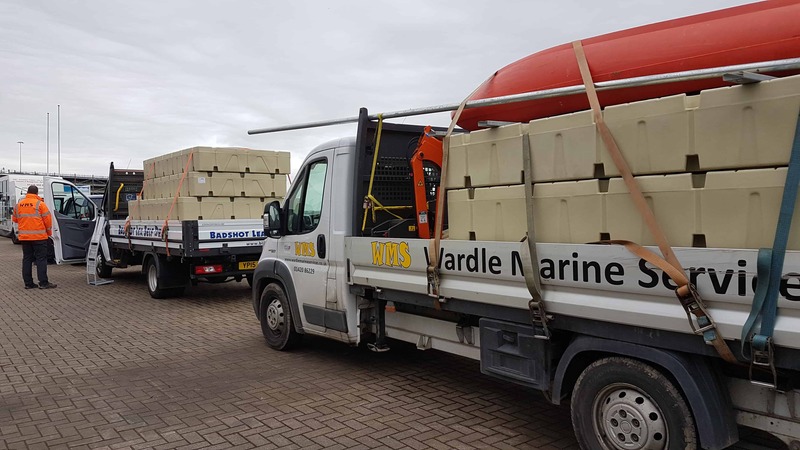 We have sent deliveries of a variety of cube systems to Staffordshire, Devon, Suffolk and Jersey for private customers and still we have time for a quick hot cross bun and cuppa! 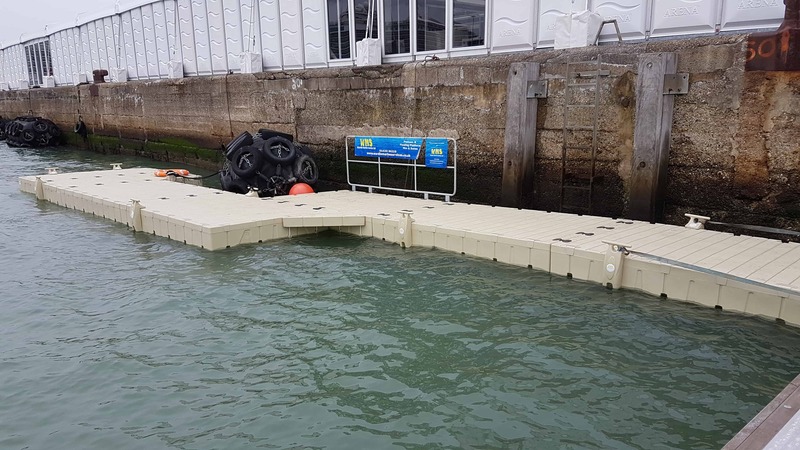 Today, we are looking forward to Ocean Business as five of us are heading to Southampton to put together our Rotodock pontoon, which will support us as we say hello to everyone at the Show from Tuesday to Thursday next week. Fingers crossed the sunshine returns. Ocean Business is ‘the hands on ocean technology exhibition and training forum’ that takes place at the National Oceanography Centre in Southampton from the 9th – 11th April. I recently read that there will be a number of High Profile Speakers for the opening session, and a ‘game changing’ USV (Unmanned Surface Vessel) is being launched. With 330 exhibitors, 180+ hours of live demonstrations, the opening speakers and big USV launch; the 5000+ visitors will have more than enough to keep them enthralled. If you go, don’t forget to come and say hello to us too, and see how we can help develop and bring your next marine project to life. Have a fantastic weekend! Here’s hoping for sunshine and a bit more warmth….